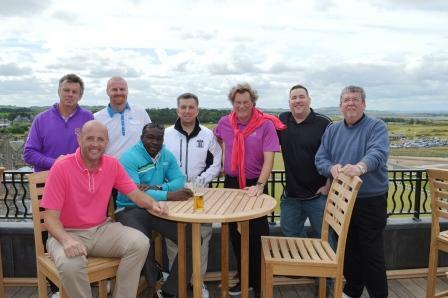 Golf Vacations UK hosted an event at St Andrews Old Course for the Premier League Managers Association. 12 league managers were present for the tournament, including Gus Poyet, Glen Hoddle, Sean Dyche, Gary McAllister and David O’Leary. The event was held over 3 days on the St Andrews Old Course, The St Andrews New Course and the Dukes. The players were hosted by the Old Course Hotel St Andrews.